So, in the past whenever I did a contest anyone who won I'd ask to give me a brief description of their play style and deck styles that they enjoy the most as well as their favourite colour or colours to play and design a card or cards for them. One of the issues I'm having is a desire to create cards while my font of inspiration has began to dry up. Time has been cruel to my free time, and as such I have not created any contests in an increasingly long time. Even though I have a bunch of ideas for contests. Ha ha. How ironic. Favourite creature types. If any. Any or all of this criteria. I just want to gather some aid in creating cards for specific people. Note to everyone. There is no time frame or obligation for a card to be made, and there will be no particular order that I do these in, if anyone replies. Ha ha. And if anyone else sees stuff from others and wants to use that info for themselves, feel free. Use this as a repository of knowledge for fellow cardsmiths. The purpose of this information is just to get a sense of the direction I could possibly take in creating a card that you'd like, as well as play. Each section has no real consequence, and ultimately there are no right or wrong answers. Favourite creature type (or subtype) refers to the principle of what tribal creatures do you enjoy. I play all colors, but I'm most known for playing ub, house dimir. I like to play aggressive in any color, and I like to draw, discard and "mill" whether it's my opponents or myself. My favorite colors are the grixis colors, though I enjoy playing all five in any sort of combination that isn't grind and make the game take half an hour. While slivers have been my favorite creature type for a long time, I've been slowly drifting over to leviathans and horrors. For favorite play styles I like playing aggressive fair decks. I can't play grindy or control for the life of me, and I always whiff on combo. Some of my favorite cards are Hellrider, Emrakul (both kinds), Zedruu the Greathearted, Umbra Stalker, the almighty Doom Blade, 'Kozilek, Butcher of Truth', and finally Sword of the Meek, which is the crux of one of my favorite decks right now. I am the guy that looks at any weird card and goes "What can this do in an artifact deck?" That being said, naturally Constructs and Artificiers are probably my favorite. I don't like the idea of building a deck around tribal, but I got into the game during Scars and I called my deck "Giant Robots" for the first few years of my tabletop playing. I like value engines, but I do not like going infinite. Engine wise, the more convoluted and customizable to the situation the better. My favorite memory playing was mirrorworks, precursor golems, Enigma Sphinxes, Clock of Omens, Helm of Awakening, and Prototype Portalling to get enough stuff on board that we had to pull up an extra table. Jhoira Weatherlight Captain, Mindslaver, Wurmcoil Engine, Trading Post, Baleful Strix, One-Eyed Scarecrow, Myr Enforcer, Darreti Scrap Savant, Saheeli Rai, Voltaic Key, Razia's Purification, Mycosynth Lattice, Gush, Gisella Blade of Goldnight, Hanweir the Writhing Township, Enlightened Tutor, Breya, and Birthing Pod. Glad to see your as literal as you've always been, ha ha. Creature subtypes and creature type are fairly interchangeable. The definition of Changeling adheres to that ideology as well. Well, I didn't know what you meant. For all I know, you meant Land Creature or Artifact Creature or Legendary Creature. My favorite mono color to play is either red or blue. My favorite dual color to play varies. I like all the guilds. Favorite 3 color will be Jund. I have never played with a four color deck, so I can't say there, and I am sure you can guess what my favorite five color combination is. Some of the creature types I like are goblins, elves, SLIVERS, & Humans, because I am one. Probably. My playstyle is... diverse. I usually will include a good amount if not all aggro, but I have been known to play control, ramp, or anything else. It is depending on my deck and my opponent. I am most known for my dragon ramp deck and my wizard deck. Favorite color or colors: White, and combinations of it. Boros, Selesnya are typical colors for me to play.Typically some colors with in Naya- Red, white, or green. I occasionally dabble into black and blue, but they are much more rare. White has always fit me like a glove, and a color I have had plenty of success with it. Favorite creature types.- Angels, Knights, Soldiers, and Dinosaurs. Favorite play style. Aggro and Midrange. I play creatures more often than not. Sometimes bigger, sometimes smaller, but my decks typically have them. Favorite specific cards- Silverblade Paladin, Sublime Archangel, Sigarda-Host of Herons, Odric, Lunarch Marshal, Always Watching, Preeminent Captain, True Conviction, Overrun, Boros Charm, Heroic intervention. Tell us about yourself @Suicidal_Deity ? Of all these decks, Scion is by far my favorite deck. Some favorite cards from each of these decks- Yosie, the Morning Star, Mana Drain ;p Combat Celebrant, Throne of the God-pharaoh, Earwig Squad, Hidden Strings, Master Transmuter, Sundering Titan. In terms of this thread or just personally? I meant in terms of this thread. But I'd be happy to learn whatever you share! 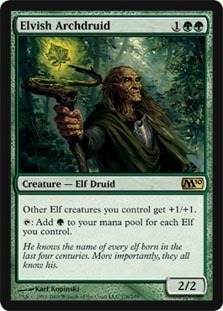 I like mono green decks, but not any creature type. 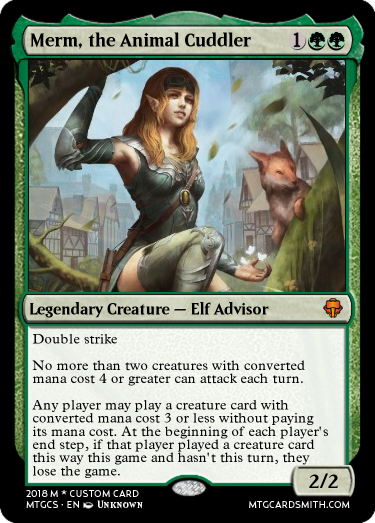 The nissa is the voice of zendikar version. Esper, white, blue, and black. I've always been a huge fan of support. Both necessary (two headed giant, and team based modes) and unnecessary (helping others for political reasons.) As such, I gravitate towards white as a whole, but I'm very much interested on the symbiotic relationship with colours. It's why I rarely play mono. Orzhov is my favourite combination, the yin and yang between white and black is not only a great means of countering each others weaknesses, but it's a beautiful colour combo to work with. 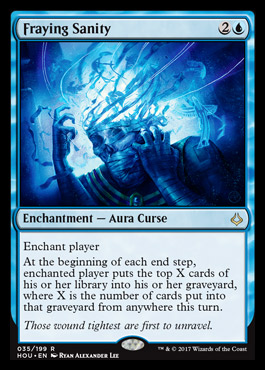 Esper, and mainly only as an Esper deck, expand on that white and black relationship and add blue into the mix (my least favourite colour) as well as artifacts for an absolute treat of a tricolour combo to use. I don't normally enjoy artifacts as a deck in itself, though I love them as support, but within the vacuum of Esper I find them both unique and delightful. The Esper section from Alara has some of my favourite cards ever printed. Selesnya for me represents a genuine compassion in terms of the colour combos within MtG. I thoroughly enjoy greens heavy handed creature induction into the white colour world. Creature tokens are both a love/hate for me, as I am a big fan of creature based decks, but hate the potential frailty that tokens can being in place of actual creature cards. It helps to build stronger decks as a result, since protecting those tokens factors into it. Allies, Eldrazi(Original Zendikar only), Knights, Dragons, Gods, Zombies, Elementals, Vampires, and Demons. Some pretty basic creature types in there, Vampires and Zombies are from my love of the macabre, and just expanded from there. Knights from there strong synergistic bond. Dragons... Scion of the UrDragon, when building that deck I just weeded through the entire library of Dragons and began to develop an adoration for them as a solid, well rounded creature type. The same was with Elementals. Making a Horde of Notions deck caused me to lead through all Elemental creatures and because they span the colour spectrum as well, there is just such diversity. I'm also a big fan of Evoke as a keyword. The three original Eldrazi and all that they spawned were just such a monumental power, I couldn't help but fall in love with them from an adoration point of view. Gods. Pure narcissism. Love them because I wanna be one. ^_^ Plus the play on not being real without the proper amount of belief was a well constructed mechanic and way of portraying them. But mostly narcissism. Demons. I mostly like the powerful Demons with drawbacks. The cheaper Demons that offer strength at a cost. It's the perfect way to convey what a Demon is too me, while also creating some really solid mechanics too. Favourite play style is anything that isn't control or agro. I don't play competitively and those two styles are the least fun to play against, so they never appealed to me. And just so everyone knows, I like reading walls of text, so don't feel nervous about your post being too big. I also have been working on my kresh the blood braided deck as well. It's still got issues but it runs decent enough. I'm also feeling like making you another card btw @Suicidal_Deity. I made a card that embodies the sheer power of Sorinjace, the Animal Cuddler. Haha that's awesome rule of the internet in effect! Thanks @murkletins! Turns out your sensitive side is a lady.